We are changing the format of the monthly newsletter because there is just too much going on to try to contain it into an epic word document every month. From now on, as news comes up, we will create a blog post and tag it as “GBA News”. Any GBA member can submit a blog post and tag it as news. Once reviewed, it will be posted. Then, each month, we will summarize the information, with links to the blog posts for additional details. We will send out the summary (with links), via our newsletter subscriber list and various social media outlets. We typically reach over 100,000 people with each newsletter blast. We are hoping that this new process will make the information easier to access in a timely manner. Former US Congressman Joins GBA Government Advisory Committee – The GBA is pleased to welcome Mr. Jim Moran as a member of the GBA Government Advisory Committee. He is a 24 year veteran of Congress and has provided oversight of trillions of dollars in government spending. In this role, Mr. Moran will be providing oversight, guidance, and strategic recommendations to the GBA to help us better serve the needs of government here in the United States and around the world. GBA Blockchain Corporate Member Directory – New and improved! However, only GBA Corporate Members can list their organization in the Directory. To add your organization, go to the “Resources” tab and select “Add resources”. If you are a corporate member, you will see the option to add an organization. Please fill out the contact form if you have any questions or issues related to posting your organization. City Impact – This program serves as a Project Management Office (PMO) to connect local government offices with the resources of GBA’s more than 20 Working Groups. The basic idea is to implement the concept that solutions are developed globally and deployed locally. City Impact also sponsors events like Crypto-Nite, a fun-filled social event where local government and business leaders learn about blockchain and cryptocurrency. Crypto-Nite (October 18) – A free event in Denver, part of the City Impact series and the Denver Blockchain Week. Local government and business leaders are brought together to learn about and collaborate on implementing blockchain and crypto solutions for local government and businesses. This is a free, informal and fun gathering. If you can make it to Denver, you won’t regret this awesome event! GBA Africa – The GBA is pleased to announce that we have nominated and approved Ngueti Armand Gaetan as the Regional Lead for Africa. He is going to help GBA launch chapters all through Africa and join the ever growing number of chapters globally. In the past few months, GBA has launched chapters on almost every continent and is moving toward our goal of having a chapter in every major city in the world. Please join us in the pursuit of goals that serve to form a more perfect union between and among governments and the citizens they serve, establish justice, insure domestic tranquility, provide for the common defense of citizen’s rights and welfare and secure the blessings of liberty in a free society. 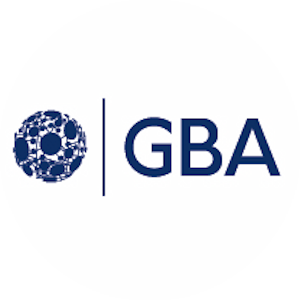 New GBA Chapter Locations – GBA has expanded in many other cities around the world. If you are interested in starting a chapter, please go to the Professional Chapter Application or Student Chapter Application. We are looking forward to establishing a GBA chapter in every major city in the world. Public-Private Partnerships (PPP) – The Budget, Appropriations & Tracking (BAT) Working Group is developing a model for public-private partnership. The model allows public sector customers to participate in a consortium to share the blockchain research and development costs. Each member contributes a small amount to fund the development of a core system that will be made available the members without restriction.” If successful, this could be an extremely effective way to mitigate research and development risks for public sector organizations. GBA Token – The Mining & Cryptocurrency Working Group is establishing a GBA token. One of the options being considered includes rewarding members for creating content, hosting events, speaking, and other activities that bring value to the community. Tokens would be available on an exchange and could be used to purchase membership, training, or exchange of services within the GBA ecosystem. These ideas will be presented, evaluated and decided on during the GBA Leadership Forum in Denver, October 18th. Economic Development – The GBA is establishing a program where blockchain solution providers can partner with local companies in developing countries. This program was initially rolled out in Cameroon and is expanding throughout Africa. GBA Tech News – Special thanks to Jonathan Lehman, Bryant Nielson, Jordan Dache and Kyle McTague for their support of the website. The speed and functionality continue to improve. Stay tuned for a separate communication describing the changes and providing tips on using the improved site. Denver Blockchain Week & GBA Leadership Forum – Join GBA leaders from all over the world this October. Come and learn, discuss, participate and work with us as we establish strategic priorities to help our members achieve their business and government goals and objectives. The week concludes with the Denver Global Summit, one of the most impressive blockchain events in the world. GBA Training, Conferences & Events – GBA members are encouraged to post their events in the calendar. Please review the calendar to find the many, many opportunities. These include training, networking, and conferences. Membership Expiration – Your membership may be expired. Many of the people who joined at the beginning of the GBA journey have expired subscriptions. Consequently, their access may be denied by the system. To renew a subscription, just go to the Membership page. GBA Training Program – GBA launched the GBA training program this past month. As of today, several GBA Training Providers have been licensed and have begun delivering GBA certified training. For a complete list of GBA trainers, please see the GBA Licensed Training Provider Directory. Find out how to become a GBA Licensed Training Provider. GBA Speakers Directory – If you would like to be listed in the GBA Speakers Directory, please indicate on your member profile that you are open to speaking opportunities. GBA is contacted all the time for speakers at conferences, panels, and events. We usually refer them to the GBA Member Search or the Active Chapter Page. Any GBA Professional Member interested in speaking or being found for opportunities should make sure that they are listed on these pages. Working Groups Page – Several new Working Groups have been proposed. We are also in the process of deploying working groups in other languages including French and Spanish. Visit the link to see the full list of them. Cryptocurrency Mining Opportunities – Members of the Mining & Cryptocurrency Working Group are looking for people who want to invest in and participate in mining. Interested parties should contact the Mining Working Group lead, Nabeel Malik.